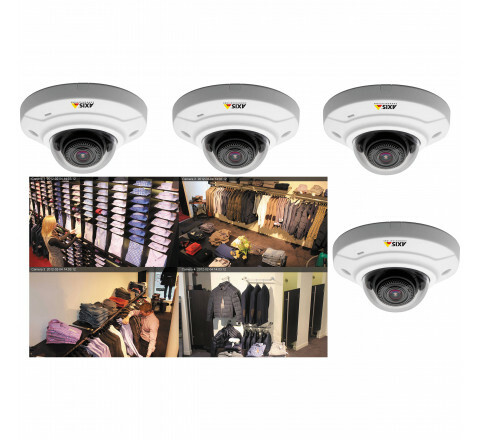 Bundle with four units of AXIS M3004-V Fixed Dome Network Camera. The cameras feature 1 megapixel/ HDTV 720p resolution and MicroSD/MicroSDHC card slot. 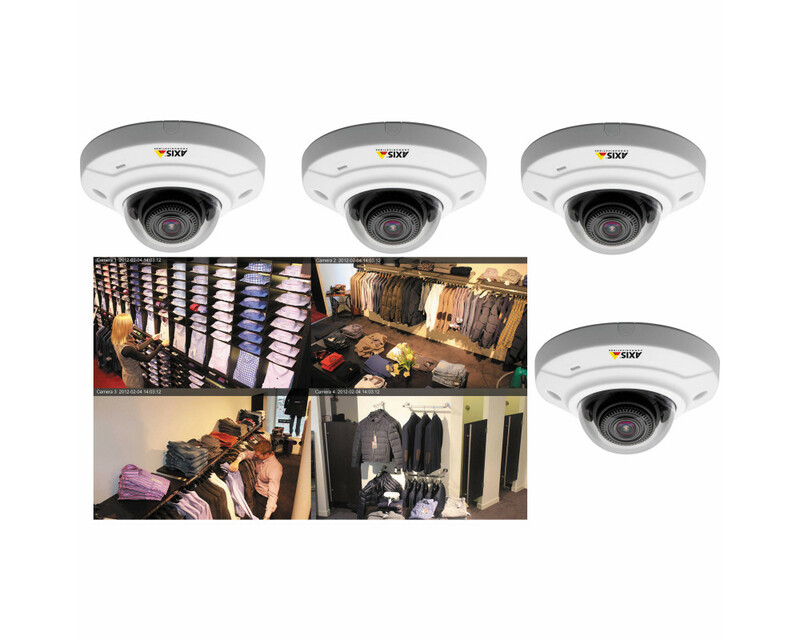 Includes a CD with AXIS Camera Companion video management software with support for up to 16 cameras. The cameras are powered using Power over Ethernet. Midspan and SD cards are not included.